On the left, select the SQL Server that hosts the service. On the right, right-click the SQL Server service and select Stop. Open the Services Microsoft Management Console (MMC) (Control Panel > Administrative Tools > Services). Double-click the SQL Server service and, on the General tab, click Stop. 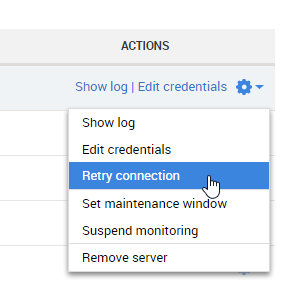 In the Log On tab, select Local System account and click OK.
Once the Service status is confirmed as Started, click Stop. In the Log On tab, select This account. Enter your SQL Server domain account details and click OK.
For more information, see “Cannot Generate SSPI Context” error message, more comments for SQL Server on MSDN.